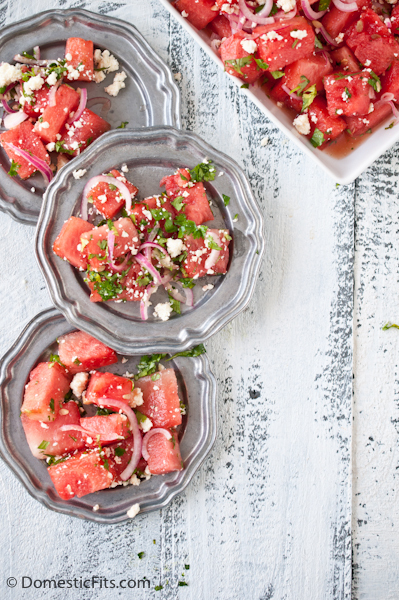 Grilled watermelon salad is the perfect summer side dish. Slice up some watermelon rings, throw them on the grill (literally if you’re brave enough), wait for some gorgeous smokey grill marks to spear and you’re half way there. If you don’t have a grill, a grill pan will work fine. You can also skip the egregious use of fire all together and just cut the watermelon into bite sized chunks. 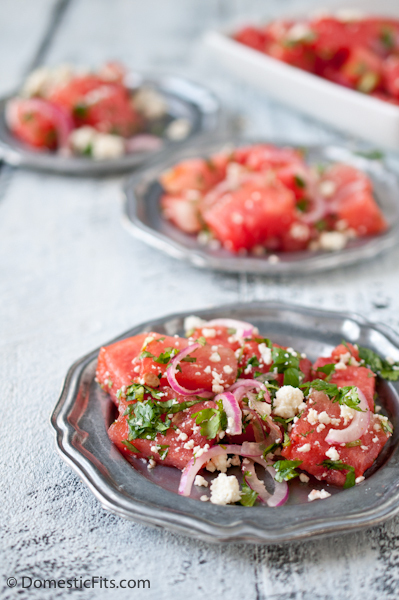 The saltiness of the Cotija and the briny quick-pickled red onions set of that great sweetness of in-season watermelons. It’s also a great salad to serve at room temperature, making it the perfect low maintenance side dish to serve on your summer party table. It also has a lovely sweetness that pairs well with a spicy food, I served it with these wings. It does not, however, keep very well. If you plan to make it ahead of time, keep all of the components separate and toss just prior to serving. If you need a patriotic plan for the rest of the watermelon, check this out. In a small bowl whisk together the vinegar and honey. Add the red onions, toss to coat. Cover and refrigerate for 20 minutes. 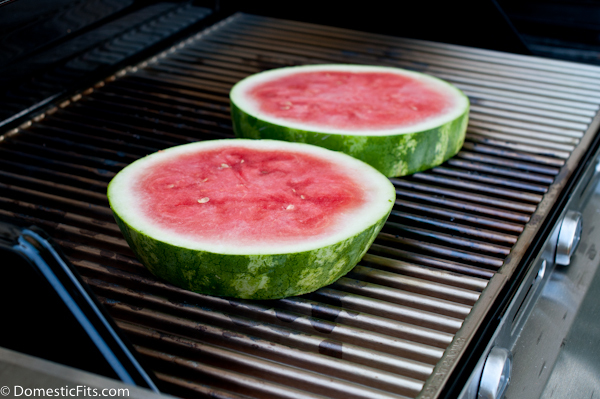 Place the watermelon slices on a hot grill until grill marks appear, about 3 minutes per side. Remove the watermelon rind and chop the grilled watermelon into bite sized chunks, place in a large serving bowl. Pour the red onion and the vinegar over the watermelon. Sprinkle with Cotija cheese and cilantro. I grilled or roasted plenty of fruit in my day but never watermelon. What a fun idea – and I love watermelon. Perfect way to use it and mix it up a little ! Watermelon salad is one of my absolute fave things to eat but I’ve never grilled it and I need to change that!! Watermelon is one of those fruits I can’t wait to grill. This salad sounds fabulous, Jackie! This is just gorgeous, Jackie! I eat watermelon like it’s candy! Now if only I had me a grill… cue the crying!!! Wow your grill is soooo much cleaner than mine 🙂 I’ve never grilled watermelon but it sounds and looks fantastic, and I know with Cotija this salads a winner! 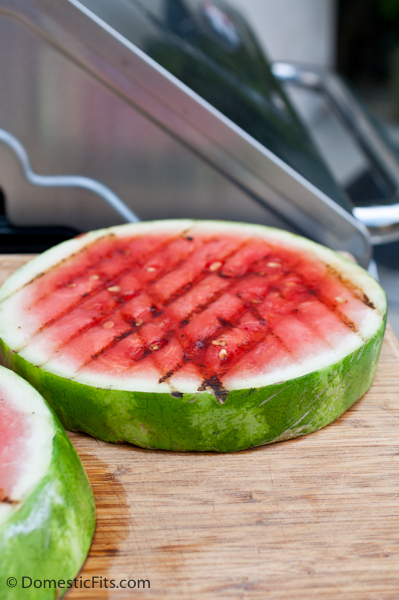 I’ve never tried grilling watermelon, but it sounds wonderful! I’ve made a salad similar to this but didn’t grill the watermelon, I’ve gotta try that! What a fun salad! I never would’ve thought to grill watermelon. I actually just grilled some cinnamon-sugar crusted banans today and they were epic. Can’t wait to grill up some watermelon now! This is such a gorgeous salad! I have never had grilled watermelon! Girl….you are killing me with all this grilled goodness. 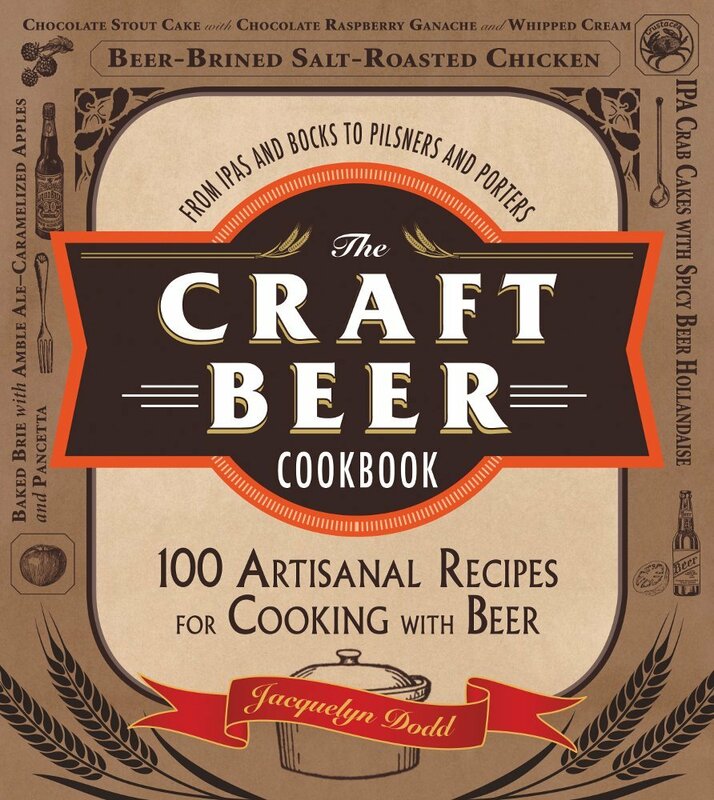 I must try this one asap. This is gorgeous!! I could go for this right now!! YUM! Now you’re talking! 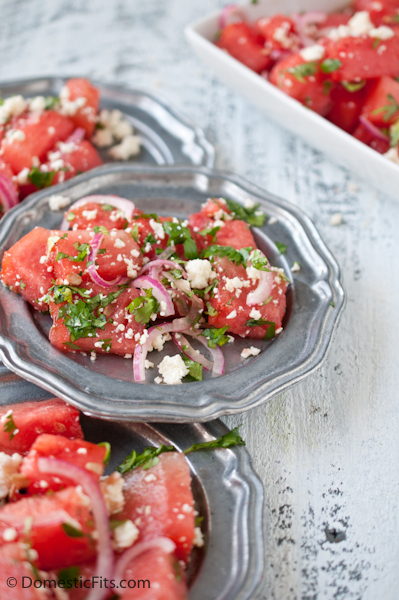 I have a similar watermelon salad that is an all time fave, but you have just upped the ante. Pinned!